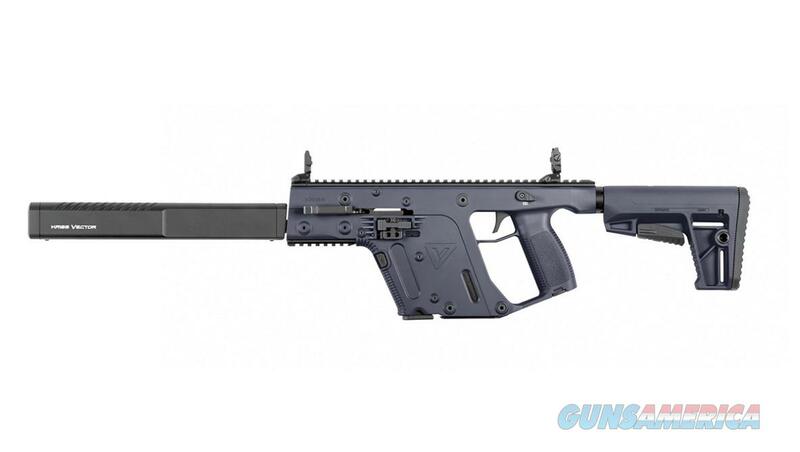 Overall Length: 35.25" - 38.5"
The KRISS Vector CRB Enhanced Gen II is the latest edition of the semi auto version of the full auto KRISS Vector SMG. This tactical carbine is equipped with a 16" shrouded barrel and comes complete with low profile folding sights. A full length top Picatinny rail provides space for optics, and a lower rail provides room for the included vertical foregrip and hand stop. This model includes a KRISS M-4 stock adapter and DEFIANCE M-4 stock, and uses standard GLOCK magazines. This rifle has a Cerakote finish for long lasting good looks.